We're very proud of our customer service and love hearing what our customers think. Below are customer reviews of Rooftop Fabrics taken from our Facebook page over the past two years (Jan 2015 - Feb 2017). This ISN'T a hand picked selection of the best, its EVERY review in order and as you can see, all but one customer gave us a full 5 Stars! The full list can be seen here where you can also post your own review if you wish, so please let us know what you think! Tonya – ☆☆☆☆☆ 5 Star. I love this shop. Super fast delivery and a great range of items! Always my go to first when looking for something. Tanya – ☆☆☆☆☆ 5 Star. Super speedy delivery as always! Fantastic service, easy to navigate website and great value for money!! Fiona – ☆☆☆☆☆ 5 Star. Louise – ☆☆☆☆☆ 5 Star. Great company. Only place that had the fabric I wanted in stock and at a reasonable price. Ordered on a bank holiday and it still came super fast. Great quality and perfect to finish off our baby blanket! However I got a little emotional that there wasnt a sweety treat in the parcel after reading previous reviews ;) Thank you! Sarah – ☆☆☆☆☆ 5 Star. Sheena – ☆☆☆☆☆ 5 Star. I love their selection of fabrics and other stock. Excellent service. Excellent sales. Very fast delivery. I will be ordering again very soon. Sharon – ☆☆☆☆☆ 5 Star. Received my first order today , top marks for service, communication & presentation - my material was packaged very neat & I'm impressed with its quality . There was even a little treat hidden inside for me - my favourite - a wrapped drumstick lolly Thanks so much - I'll be back again . Diane – ☆☆☆☆☆ 5 Star. Absolutely amazing service, delivery was super-fast and the fabric was perfect. I will definitely be back again ....... oh and thank you for the little pack of sweeties I found in my parcel !! Heidi Louise – ☆☆☆☆☆ 5 Star. 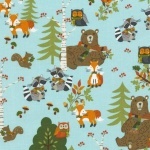 So pleased with the wonderful fabric I bought my daughter loves blue can't wait to make her a dress out of it. Great service will definitely use again! Dawn – ☆☆☆☆☆ 5 Star. Excellent fabric choice and super quick delivery...highly recommend! Nicola – ☆☆☆☆☆ 5 Star. Received my first order from RoofTop fabrics today, I only ordered Tuesday! I will be using you again, Great Service thank you. Kirsty Ann – ☆☆☆☆☆ 5 Star. Lovely fabric and quick service will be back for more fabric! Rebekah – ☆☆☆☆☆ 5 Star. Very fast delivery. One of my ordered fabrics had low stock, Rachel emailed offering a refund or asked if I would prefer a substitution, then the order was despatched the same day, arriving the following working day. I have found a new favourite fabric shop! Cally – ☆☆☆☆☆ 5 Star. Excellent service! Orders yesterday before lunch, received parcel this morning :) beautiful selection of fabrics. Jo – ☆☆☆☆☆ 5 Star. Really quick service and lovely fabric too! Georgette – ☆☆☆☆☆ 5 Star. Danielle Legg – ☆☆☆☆☆ 5 Star. I am do glad I was recommended you for buying shannon plush fabrics. I have never come across such a wide range at great prices! Reasonable postage cost and arrives really quickly too! Fabrics are beautiful and great quality, I can't wait to use them! Gillian – ☆☆☆☆☆ 5 Star. Ordered fabric yesterday it arrived next day.what a service.fabric is stunning.huge thank you. Kate – ☆☆☆☆☆ 5 Star. Great character cotton just what i needed!!! Ordered online and super fast delivery arriving the next day! Thank you! Katie – ☆☆☆☆☆ 5 Star. These are my new favourite suppliers, designer fabrics at a great price, I also love the clearance section!! Veronica – ☆☆☆☆☆ 5 Star. Would always order from them. Great fabric and excellent service. Rebecca – ☆☆☆☆☆ 5 Star. Wow wow wow. Amazing prices amazing fabrics and amazing customer service. I am fully addicted. Lesley – ☆☆☆☆☆ 5 Star. Brilliant customer service, fast delivery and a lovely range. Will be shopping here again. Amy – ☆☆☆☆☆ 5 Star. Ordered Sunday, delivered by Tuesday morning! Fantastic service, thank you so much. Amy-Jay – ☆☆☆☆☆ 5 Star. Awesome service and great fabric, thank you so much! Will be back for sure. Glenys – ☆☆☆☆☆ 5 Star. Thank you so much Rachel, ordered my fabric Wednesday and was delivered Thursday, great service. Andree – ☆☆☆☆☆ 5 Star. So pleased with my first order, bought loads of fabric in their sale, great quality and delivery was very quick. Will be buying again. Perfect fabric for my new business venture. Geri – ☆☆☆☆☆ 5 Star. Fabulous fabrics and friendly, helpful and efficient super speedy service! Chris – ☆☆☆☆☆ 5 Star. Ordered Monday and received next day! Great service, lovely selection and fabrics I haven't found elsewhere, definitely recommend. Chloe – ☆☆☆☆☆ 5 Star. I love you! Super quick and a lovely range of fabrics. Caroline – ☆☆☆☆ 4 Star. Great service, fabric is of good quality and well packaged. Speedy delivery and quick to answer queries. Leanne – ☆☆☆☆☆ 5 Star. Kate – ☆☆☆☆☆ 5 Star. I ordered fabric yesterday morning and it has arrived already!! Excellent selection, love that you can order half metres and not pay extra :) thank you! Ruth – ☆☆☆☆☆ 5 Star. Fantastic service, quick delivery and good selection. I also like that Rachel asks what people would like her to stock and is aware of stock levels and when they're low. Great communication too. I highly recommend Rooftop Fabrics. Julie – ☆☆☆☆☆ 5 Star. I have ordered a couple of times from a rooftop Fabrics now, such a fast service and lovely fabrics! Lauren – ☆☆☆☆☆ 5 Star. Amazing customer service and beautiful fabric. Having a supplier as helpful as Rooftop Fabrics make my job so much easier! I would and do highly recommend! Emma – ☆☆☆☆☆ 5 Star. Super fast postage and lovely fabric :) Will definately be using again!! Thank you! Karen – ☆☆☆☆☆ 5 Star. Super quick dispatch and delivery, found everything I wanted and it came with haribo - whats not to love!